. Yakushipedia ABC-Index 薬師如来 Yakushi Nyorai . 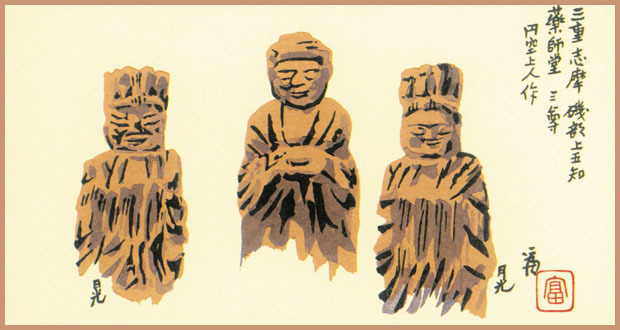 These images were created by Reverend Enku when he visited the Shima region in 1674. 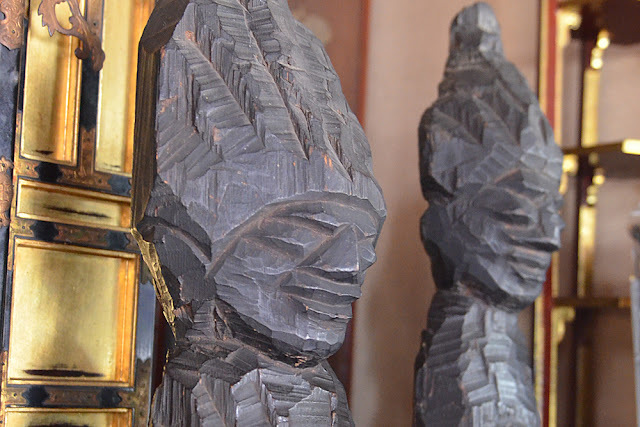 Two Bodhisattva figures (Nikko and Gakko) are placed on both sides of the Yakushi Buddha, representing the center of bliss. They all look as though they are watching the present world clad with garments woven from the passage of time. The statue is about 36 cm high. 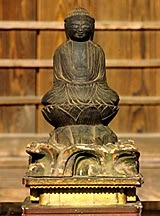 Probably from the temple 禅桂寺 Zenkazura-Ji in 1792. For 施主富治郎母 the mother of Fujiwara Tomijiro, a silk trader, who died at the age of 76 years.
. . . CLICK here for more　Yakushi statues carved by Enku !
. 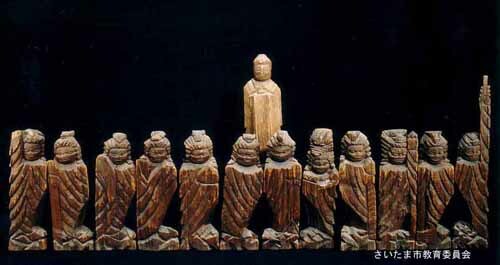 Shichibutsu Yakushi 七仏薬師 Seven Yakushi Statues . 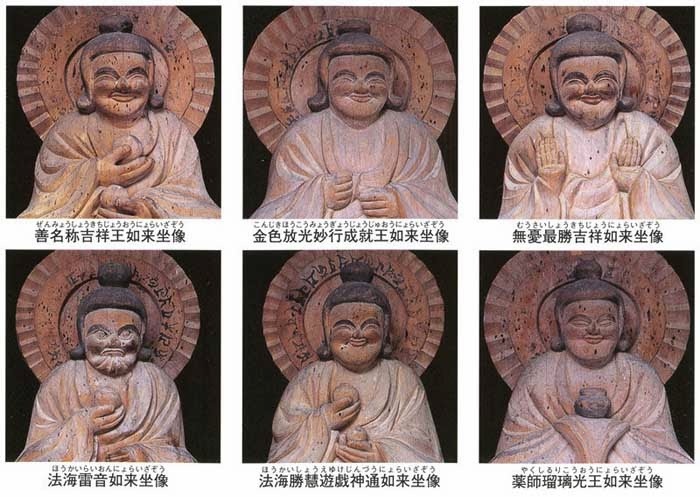 Six of them are preserved in a temple in Niigata. This temple is related to Nr. 32 of the pilgrimage to 33 Kannon Temples in Saikoku 西国三十三観音. It was founded in 1596. 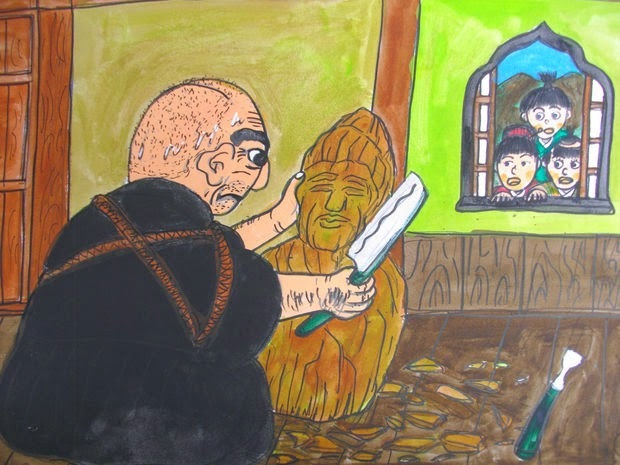 One day Enku san stayed at the temple 正宗寺 Shoso-Ji in Hida and was carving the statue of Yakushi Nyorai. The children of the village had been watching him through the window and sometimes talked to him. After some time the statue was finished and placed on an altar in the main temple hall. Then one day Enku san was taking a nap after lunch. The children sneaked into the hall, lifted the statue from the altar and carried it outside. 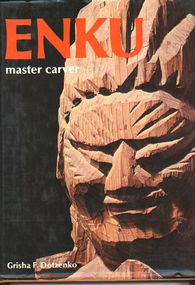 Enku observed them through half-open eyes, but did not say anything, soon he continued to nap. Oh dear, where had they been carrying the Buddha statue? All went well until an old man came along the riverside and was quite surprized at what he saw. "Hey you naughty kids! What are you doing to the Buddha statue? Bring it back to the temple immediately!" he admonished them severely. 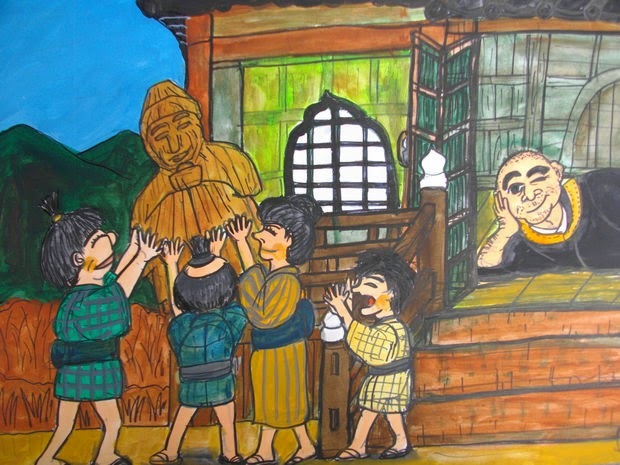 The kids began to cry and brought the statue back to the temple, crying all the way. on that night the man from the village suddenly developed a high fever! "You have been quite wrong this afternoon. I wanted the kids to play happily without any harm done!" Yakushi scolded him. "Oh dear, I am so so so sorry" he mumbled. 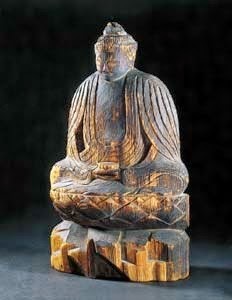 "Dear Mister Yakushi Buddha, I did not know that. It is all my fault." he apologized many times. Then Yakushi left quietly and - oh wonder - the fever of the old man went down. The next day our old man went to the temple with some offerings. "So this is what happened. You know, the Buddha statues which I carve all like to play with children. Well, old man, please let the other villagers know too. If someone gets ill or if the children need someone to play, come here and fetch this Yakushi statue to be with them and enjoy with them. That is why I made him for all of you, that is what he wants. No need to worry about anything!" Enku folded his hands in a greeting. This is why the Buddha statue that Enku had carved is always with the people of the village.
. 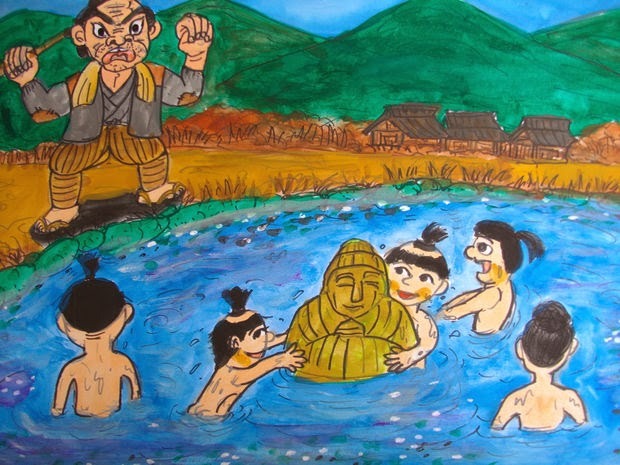 Legends about Yakushi Nyorai 薬師如来 .